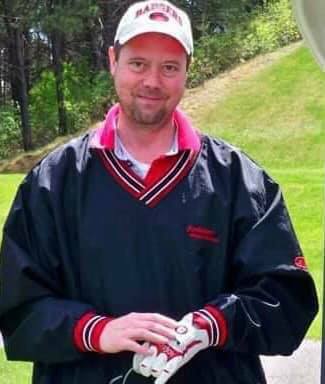 Christopher John Hartnett passed away on January 28, 2019 at the age of 51 at Regions Hospital in St. Paul. Chris was born on March 23, 1967 in Shell Lake, WI. For most of his childhood he lived in the country outside of Hayward with his parents and five siblings. Those days consisted of jumping bikes, snowmobiling, building forts in the woods, catching toads down by the creek, playing football, baseball and hockey with his brothers, and bass fishing with his dad. In high school, when Chris wasn’t making everyone laugh with his jokes and impressions, he was busy. He played hockey, joined the golf team his junior year, portrayed an egg head in the Variety Show, and played the trombone in concert and jazz band. He graduated from Hayward High School in 1985 and went on to college at the University of Wisconsin-Eau Claire, where he earned a Bachelor of Science degree in Biology. During his college summers he would work all over the country with his step-dad Dave doing construction projects, and he also spent some time in Florida with his brother Greg. Upon college graduation, Chris moved to the Twin Cities to take a job as a lab technician at Hosokawa Bepex Corporation, worked at R & D Systems as a research associate for 15 years, and finally settled at a company called Preco. Throughout this time he was proud to have developed a blood research product used in laboratories and facilities that helped in the research of many diseases, including HIV/AIDS. Chris had and made so many fond memories for all of us. He loved concerts, dressing up for Halloween, imitating people (especially teachers), and riding around in cars exchanging misheard music lyrics. Chris was an avid sports fan, with his favorite teams being the Wisconsin Badgers and the Green Bay Packers. Most of the games he watched alone because he couldn’t find anyone who wanted to hear him scream and swear and throw his many hats to the ground. He adored his cats (Miko, Moses and Mimi), his saltwater fish tank, and found pure enjoyment watching The Walking Dead. Most of all, Chris loved his family and his many friends. We remember Chris as such a gentle soul with an infectious laugh and smile. He was so much fun to be around and we are all truly blessed to have known him. Chris was one of a kind and we will forever miss him so much. Chris was survived by his parents Roger (Ann) Hartnett and Sharon (Dave) Wiek; siblings Greg (Martha) Hartnett, Roger Jr. (Joy) Hartnett, Tim (Kasie) Hartnett, Holly (Brian) Duffy and Bridget (Laura) Hartnett; nieces and nephews Luke and Cole Hartnett, Noah, Payton and Camryn Hartnett, and Alec, Claudia and Lily Duffy; his uncle Max and girlfriend Raquel. He was preceded in death by his maternal and paternal grandparents and his brother Jeffrey Vincent. Visitation will be held from 5:00 P.M. until 7:00 P.M. Friday, February 1, 2019 at Hayward Funeral Home, 15571 W County Highway B in Hayward. Mass of Christian Burial will be celebrated at 11:00 A.M. on Saturday, February 2, 2019 at St. Joseph Catholic Church, 10586 Dakota Avenue in Hayward, where visitation will be held from 10:00 A.M. until the hour of Mass. Interment will be held in the spring in Greenwood Cemetery in Hayward.